This Teriyaki Shrimp is healthy, a meal-in-one, with the BEST homemade Teriyaki sauce and on your table in LESS THAN 30 MINUTES! 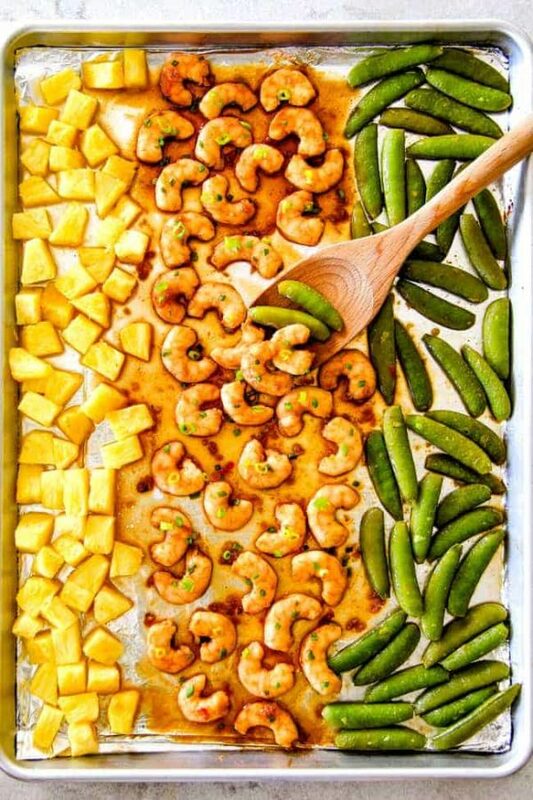 This Teriyaki Shrimp is baked on a sheet pan with pineapple and snap peas for one of the easiest, most satisfying meals that tastes better than takeout and is way healthier! Serve your shrimp as is or with rice or noodles or for a low carb option, serve with cauliflower rice or zoodles. No matter how you serve this teriyaki shrimp, you are going to want to stock up on frozen shrimp so you can make this easy dinner at moment’s notice! My number one recipe since I posted it has been my One Pan Lemon Butter Garlic Shrimp and Asparagus because its soooo good and soooo easy! 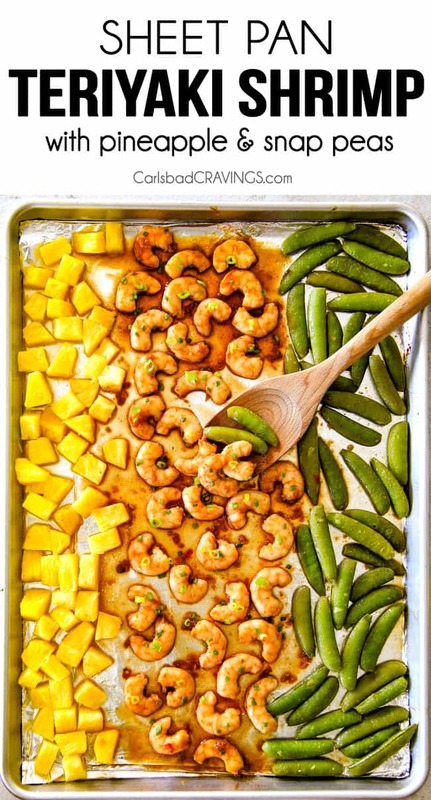 So I thought it was time for another equally delicious sheet pan shrimp recipe that is almost as easy – hello delectable Sheet Pan Teriyaki Shrimp, Pineapple and Snap Peas! It’s a few more ingredients and just a few more minutes because of the homemade teriyaki sauce but believe, it is SO WORTH IT and the combination of teriyaki shrimp + roasted pineapple + roasted snap peas = sweet, savory, juicy, fresh, crispy, flavor exploding perfection! Because really, does it get any better than teriyaki and pineapple?! Teriyaki Shrimp is only as good as the teriyaki sauce and this Homemade Teriyaki Sauce is sensational! If you have never made your own Teriyaki Sauce before, it is very simple to make with just a few pantry ingredients and I love how you can customize it to just your taste – more sweet, more savory, or more of a kick. This homemade Teriyaki Sauce version is the best yet, in my humble opinion, so please don’t be tempted to substitute traditional teriyaki sauce because it just won’t be the same! A simple version of teriyaki sauce is equal parts soy sauce to granulated plus rice vinegar but in my version, I’ve substituted some of the sugar with Asian Sweet Chili Sauce so we not only get sweet but we get sweet heat infused with red chilies, garlic and ginger – a depth of flavor that can’t be beat. 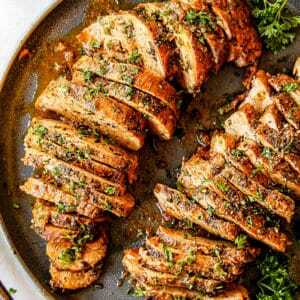 I added some cider vinegar to add back some tang and balance the sweetness along with additional garlic and ginger to create a dynamic Teriyaki Sauce that takes just minutes to whip up! If you need to defrost your shrimp, the easiest way to do it is to remember the night before so you can remove your one pound frozen shrimp to a covered bowl and let them defrost in the refrigerator overnight. If you’ve forgotten to defrost your shrimp, that’s okay! To quickly defrost, place the one pound frozen shrimp in a fine-mesh sieve or colander. Place this sieve in a large bowl of cold tap water for 10 minutes. After 10 minutes, replace the water in the bowl with new cold tap water and resubmerge the shrimp. Let shrimp sit an additional 10- 20 minutes. At this point the shrimp should be completely defrosted. 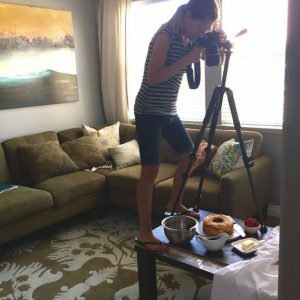 How to Make Teriyaki Shrimp? To make this Teriyaki Shrimp you first whisk together your heavenly Teriyaki Sauce and set aside. Next, we add our pineapple, and splashes of brown sugar and olive oil to our pan followed by our snap peas with splashes of teriyaki sauce, olive oil, salt and pepper – can we say flavor?! We bake these for 15 minutes before adding the shrimp so everything will be perfectly cooked at the same time. Next, we add our shrimp and toss it with some Teriyaki sauce before roasting. Have you ever roasted shrimp? If you’ve made my aforementioned Lemon Butter Garlic Shrimp, then you know just how ridiculously easy this hands-off method is it is for perfectly cooked shrimp every time. More importantly, the teriyaki sauce has longer to permeate the shrimp so as they transform into tender, fragrant, succulent morsels, they drink up the flavor and emerge hot, juicy and exploding with Asian deliciousness. While your Teriyaki Shrimp is roasting, you simmer your Teriyaki sauce with just a teaspoon cornstarch to thicken into a beautiful glaze to toss your shrimp in once cooked so then, depending on if you are serving with rice, noodles, zoodles etc., or depending on how strong you like the punch of Teriyaki, drizzle your plate with as much or as little Teriyaki Sauce as your salivating palate desires. 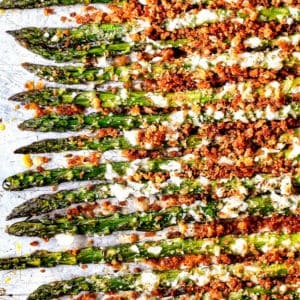 What other veggies can I use? Medley of some or all of the listed veggies! 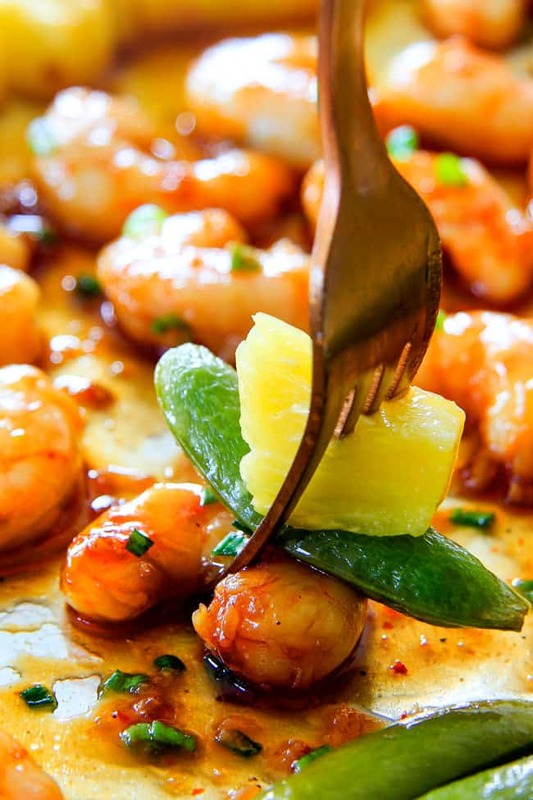 teriyaki shrimp stir fry – heat one tablespoon oil over medium high heat in a large skillet. Add shrimp and cook for approximately 3 minutes per side, or until opaque. Remove shrimp from pan. Add pineapple and snow peas (or favorite veggies) and saute 2 minutes. Add sauce (including cornstarch) and and simmer until thickened. Add shrimp back to pan and coat in teriyaki sauce. 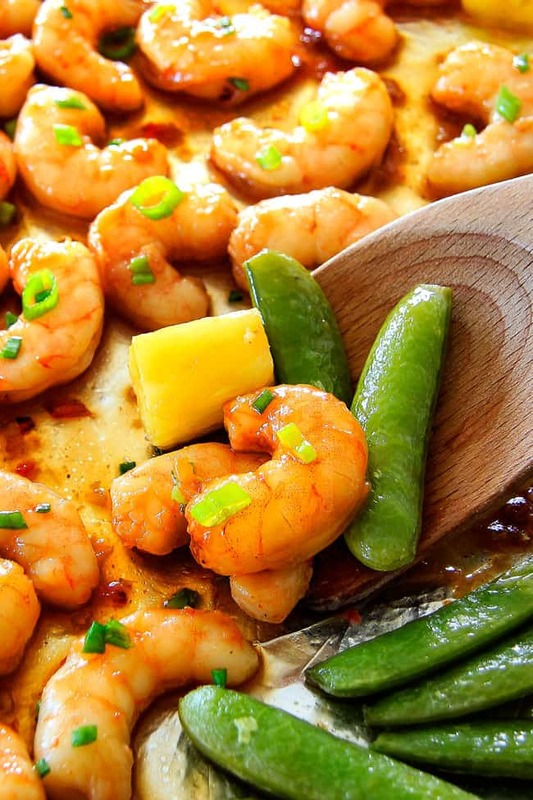 teriyaki shrimp foil packs – add shrimp, pineapple and snow peas to a foil packet. Add some of the sauce and toss to coat. Grill over medium heat for approximately 12-15 minutes or bake at 425 for approximately 12 minutes. Serve with remaining thickened teriyaki sauce. grilled teriyaki shrimp – toss shrimp in teriyaki sauce per directions then thread shrimp onto skewers (if using wooden skewers, soak skewers for at least 30 minutes in water). Grease grill and heat to medium high heat. Grill shrimp for 3-5 minutes on each side or until shrimp has become pink and firm being careful to not to overcook. Brush with some of the remaining teriyaki sauce. What Can I serve with Teriyaki Shrimp? This Teriyaki Shrimp is fabulous with rice, quinoa, cauliflower rice, broccoli rice or zoodles. It is even delicious all served on a salad to make Teriyaki Shrimp Salad. How long is Teriyaki Shrimp Good for? Store Teriyaki Shrimp in an airtight container in the refrigerator. When properly stored, shrimp is good for three days. Sheet Pan Teriyaki Shrimp for one of the simplest yet, yet most satisfying meals that can be made at a moments notice! 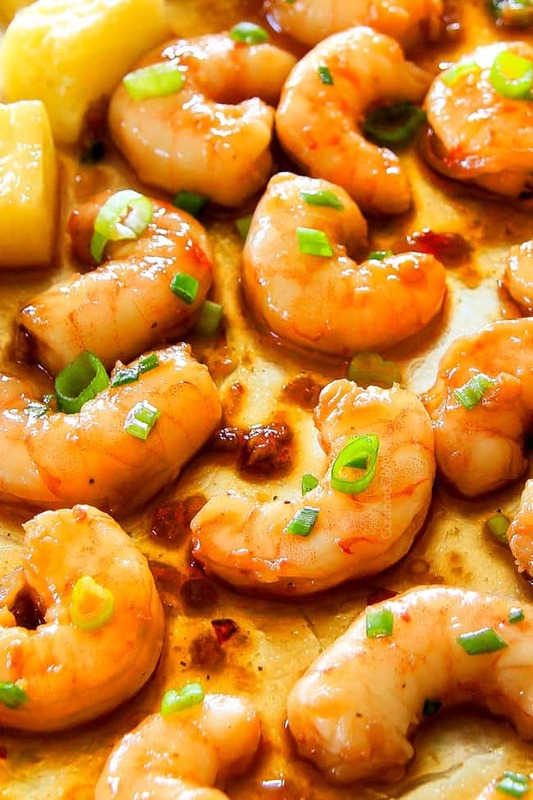 Want to try this Teriyaki Shrimp Recipe? 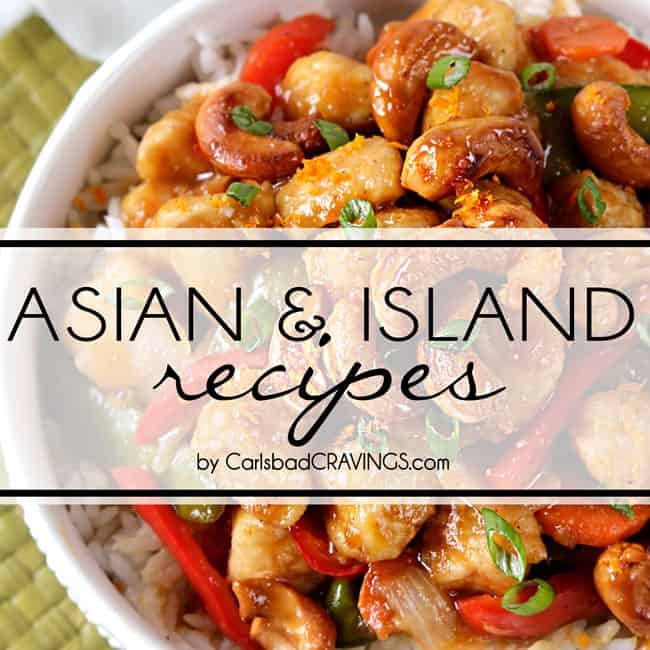 Pin it to your SHEET PAN, ASIAN, SHRIMP or DINNER Board to SAVE for later! This Sheet Pan Teriyaki Shrimp, Pineapple and Snap Peas is SO easy, healthy, a meal-in-one, with the BEST homemade Teriyaki sauce and on your table in LESS THAN 30 MINUTES! 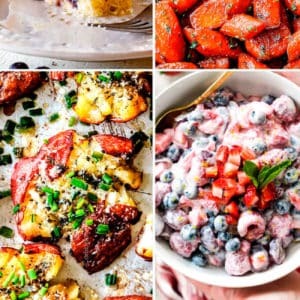 It's one of the easiest, most satisfying meals that tastes better than takeout and is way healthier! Stock up on frozen shrimp so you can make this at moment’s notice! 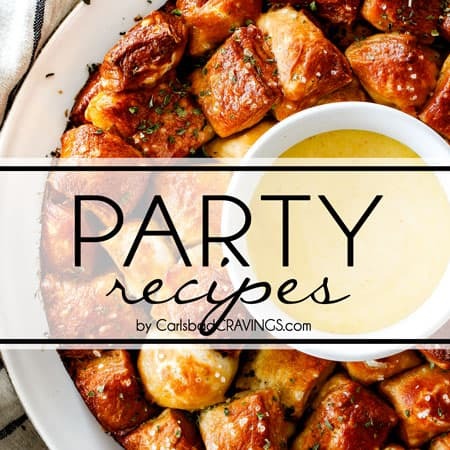 Whisk together all of the Teriyaki Sauce ingredients EXCEPT cornstarch in a medium bowl. Set aside. Preheat oven to 400 degrees F. Line baking sheet/jelly roll pan with foil and spray with cooking spray. 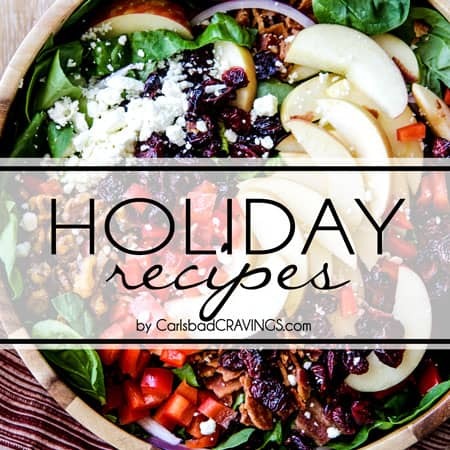 Add pineapple, 1 tablespoon brown sugar and one tablespoon olive oil and toss to coat. Push pineapple to one side of pan. Add snap peas to pan. Toss peas with 1 tablespoon olive oil, 1 tablespoon Teriyaki Sauce, 1/4 teaspoon salt and 1/8 teaspoon pepper. Spread snap peas and pineapple into an even layer. Bake 15 minutes at 400 degrees F. Meanwhile, remove tails from shrimp. 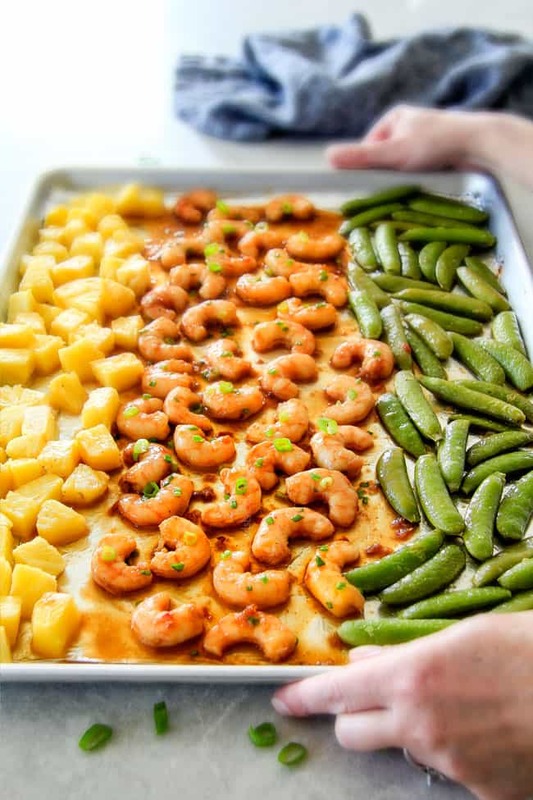 Remove pan from oven and push pineapple and snap peas to each side of the pan to make room for shrimp in the center of the pan (keep in a single layer). 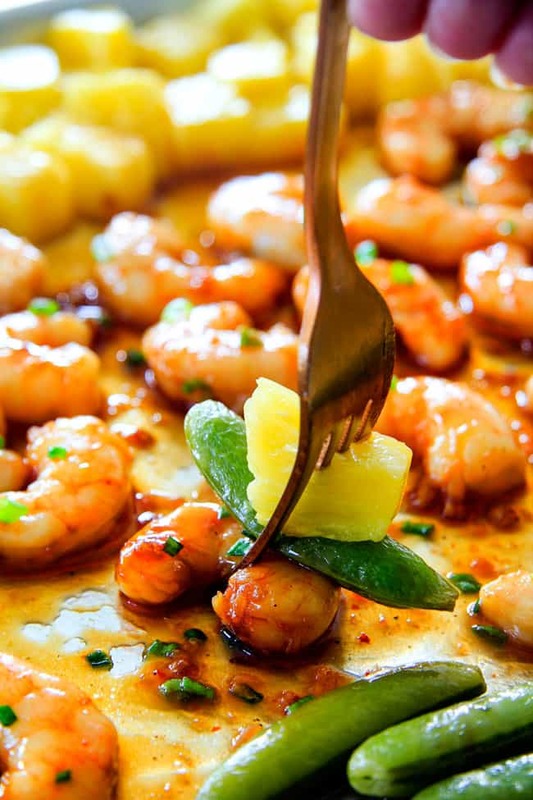 Add shrimp to center of pan along with 1 tablespoon olive oil and 2 tablespoons Teriyaki Sauce. Toss to coat and arrange in a single layer. Roast for 4-6 minutes or just until shrimp is opaque. Meanwhile whisk in 1 teaspoon cornstarch to remaining Teriyaki Sauce. Simmer in a small saucepan just until slightly thickened, stirring often. Remove pan from oven and drizzle shrimp with 2 tablespoons Teriyaki Sauce. Toss to coat. 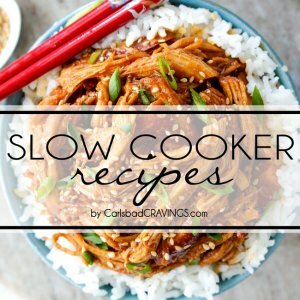 Serve with rice/noodles/zoodles etc. with desired amount of additional Teriyaki Sauce and salt/pepper/sriracha to taste. *Weigh shrimp with tails on **I used a large jelly roll pan but everything will fit on a baking sheet - it will just be snug. Truly admire your works ! Thank you and God Bless ! Thank you so much! God bless you and yours as well! 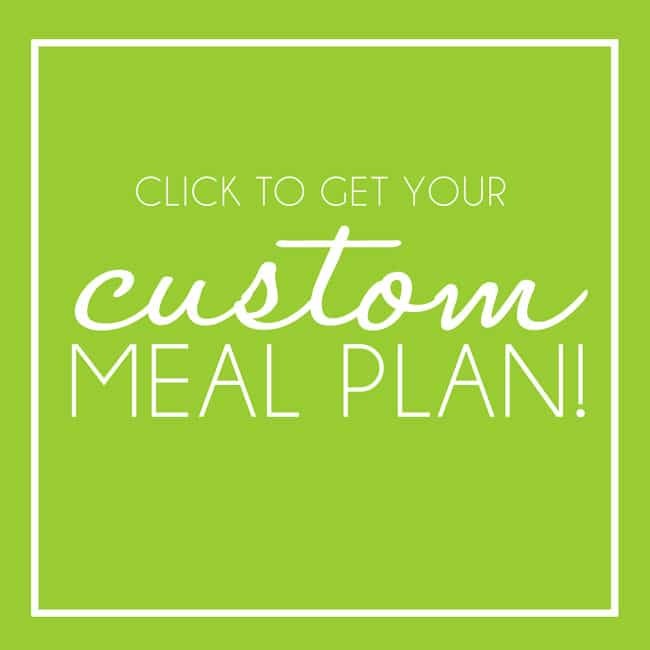 Hi Cheryl, I love hearing you are enjoying my recipes and that you find the ingredients/serving adjuster helpful! 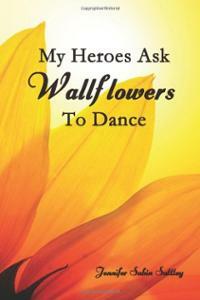 Thanks for all you do to serve others! 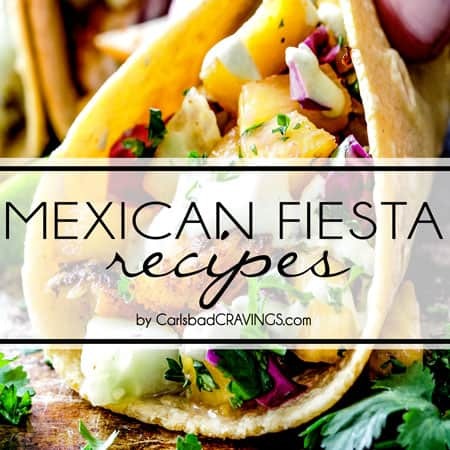 Made this recipe on Saturday night for dinner……….ABSOLUTELY DELICIOUS. You made my day Rebecca, thank you so much! 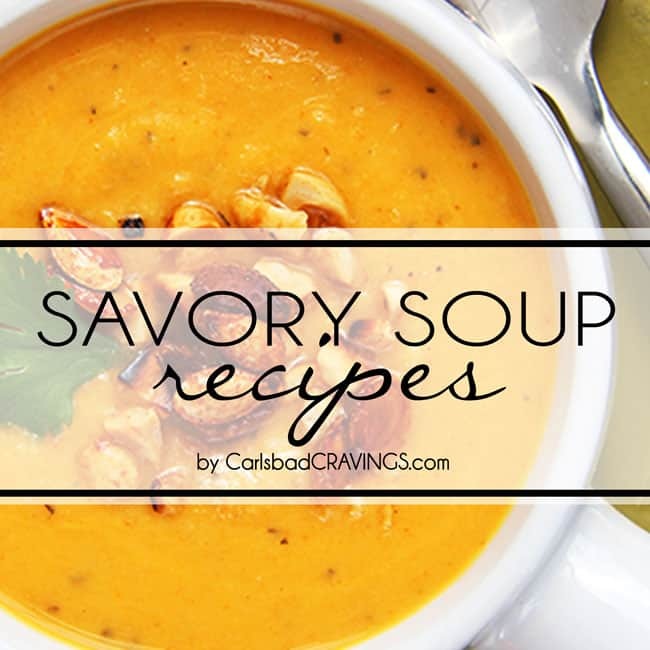 I am thrilled you loved this recipe and that you have been enjoying others as well! Thank you so much for spreading the word!!! 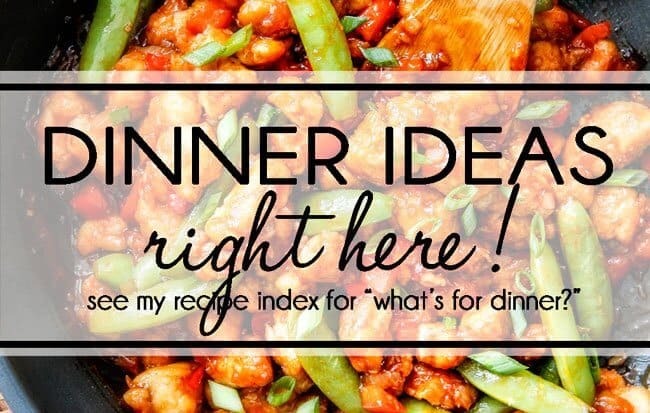 I wanted to print out recipe for sheet pan teriyaki shrimp & snap peas but the font was incredibly small. Tried to copy onto a Word doc. so that could increase the font size but it was formatted in table form. Very disappointing. When you click ‘print” click “more setting” and you should be able to increase the size.